Creating a website that will work perfectly across multiple devices and platforms became a necessity in the last few years. People are using tablets and smartphones to go online and website development should follow that trend as well. Responsive web design (RWD) was introduced during 2012, and in just 5 years became the best way to create websites that will fulfill mobile users’ needs. The main feature of the responsive design is website’s reformating depending on a device where they’re being viewed. That way, the content of your website will remain user-friendly by staying the same regardless of the device. The responsive design will provide content to users in the same format across all devices, such as tablet, smartphone, and desktop computer. After the breakthrough of responsive design, you don’t need to think about making a separate website for computer and mobile phone no more. 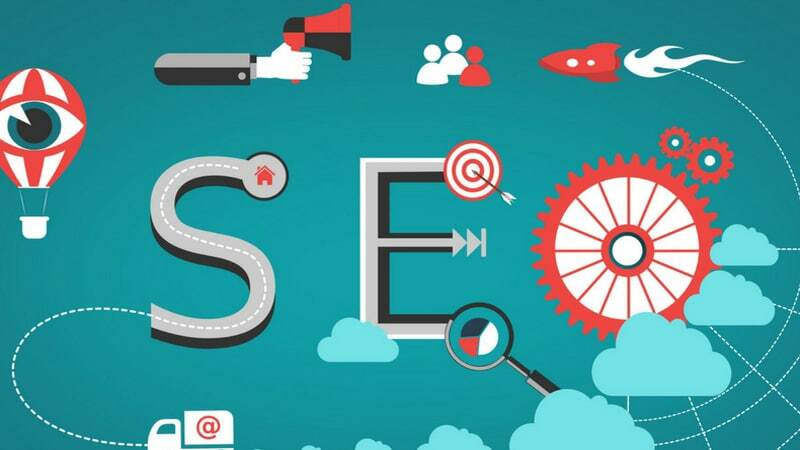 Another great possibility is that you can work on search engine optimization without thinking if it will affect all platforms. Below are some benefits of responsive design which will inform you why you should go this way. Let’s face it. Google is that one instance you want to impress with your new website. If Google doesn’t like it, it will never find its audience. Think about what Google loves. It is for sure that it encourages RWD as the best way to target people who use smartphones. Besides that, Google will favor mobile-optimized sites when presenting search results acquired on a mobile phone. This is most visible when users search for local services via their phones. The online community is still slightly divided upon a question if it’s better to have a separate mobile website or make a responsive website instead. If you look at things from an SEO perspective, then the right answer is the second option: you should go with responsive website design. The thing is that RWD has just one URL and it’s easier for Google to find the content and show it to your audience. With different URL’s it will become a little bit harder and ineffective. Basically, there are some benefits of having a separate mobile website, and it can work well by itself. In case you’re running a website rich in content, such as news site, there’s a possibility that your mobile version won’t be effective. It can take to much of scrolling before finding desirable content. In order to avoid this, maybe it’s better to have a separate website version which will be refined for better mobile browsing. On the other hand, if you consider SEO, it can be very challenging to work on separate instances. In the case of separate websites, you’ll need to do a double work on building the authority from scratch. Keep in mind that most separate mobile websites don’t rank well in search engines. Making a responsive website will facilitate your endeavors SEO wise. It will be easier to use just one URL while building your online presence. Your backlinking will get more effective if you have a single website and your SERPs will boost in no time. Don’t get fooled by good ranking results. If you think that’s enough and you don’t need a responsive website, you’re wrong. The experts from Pro Web Design Sydney recommend going with the responsive website since it will help you with high bounce rate. This issue will come from mobile users that will bounce of your website if it’s not optimized and user-friendly. Google will interpret this behavior as dissatisfaction with your content and it will affect your ranking. Making an RWD will ensure your content is fully visible on any device and your visitors will always be able to find desirable information. The another reason why you should go with RWD is that your user experience will be a big ranking factor. Making a website is all about sharing content. If your site is user-friendly, your visitors will be eager to participate in finding, viewing and sharing the content. Always think about your audience while building a website. Those people can help you to succeed. Make sure to work on responsiveness since people would like the opportunity to share content regardless of the platform they’re using. If someone wants to share something from a PC, that content should look the same on a mobile phone screen. At the end, you should keep in mind that responsive website design is a new trend which is here to stay. This way of building websites is facilitating communication between people and businesses, and it’s needless to say it will help you grow your business. So don’t hesitate and start building your responsive website as soon as you can.